Wow! There were lots of rumors about this over the weekend. Turns out that, in this case, the rumors were spot on. 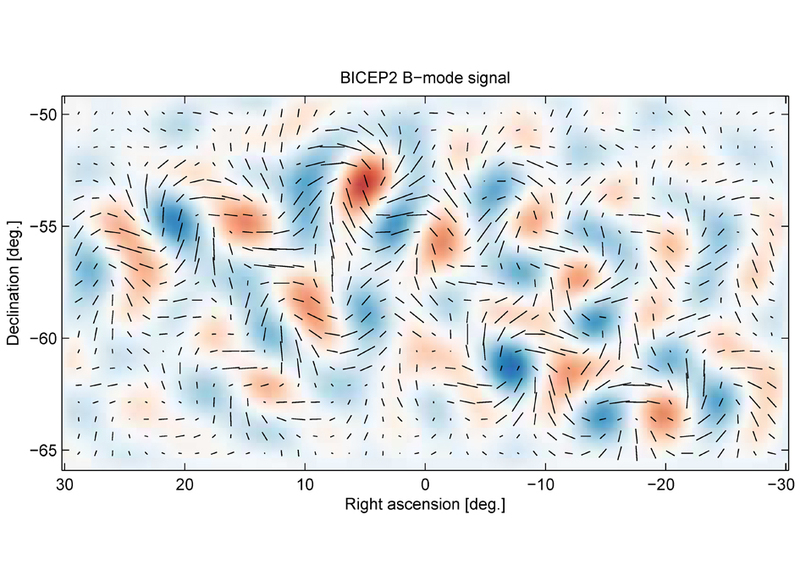 Researchers from the BICEP2 collaboration today announced the first direct evidence for this cosmic inflation. Their data also represent the first images of gravitational waves, or ripples in space-time. These waves have been described as the “first tremors of the Big Bang.” Finally, the data confirm a deep connection between quantum mechanics and general relativity. more at First Direct Evidence of Cosmic Inflation – SpaceRef. This entry was posted in Zeitgeist and tagged BICEP2, Big Bang, Cosmic microwave background radiation, General relativity, Gravitational wave, inflation, Quantum mechanics, Science, Universe. Bookmark the permalink. Curious, does this support any particular inflationary model? Good question. Here’s a tweet from Sean Carroll that tells me it might take them a while to sort this out. Don't expect implications of BICEP for theory to be immediately clear. Sometimes we need time to think about the consequences of new data! Cool. I follow Carroll’s blog. If you don’t already, I highly recommend it. I do follow it, and very much agreed. Thanks. The New York times also has an excellent summary. this is, now what i write may seem pure folly and so ask for forgiveness and a great understanding for my stupidity. i can not understand everything yet but i would not rush with nobel. we have rather doubtful evidence to even more doubtful theory. predicted, even proved, so we can fully see its importance in our attempt to understand the universe. a little problem only is… inflation itself has no deeper meaning. but perhaps i’m wrong. so once again please forgive me! You’re not alone in being cautious about accepting these findings. There are other observations in progress that may confirm or contradict these findings. We’ll know in time.